Today we’d like to introduce you to Travis Glenn. Thanks for sharing your story with us Travis. So, let’s start at the beginning and we can move on from there. Boxing started as a midlife crisis for me in 1995. It was a new type of adventure for me: one that involved both physical and mental components. In 2005, my trainer encouraged me to open my own boxing gym. He felt that I had potential as a boxing trainer. 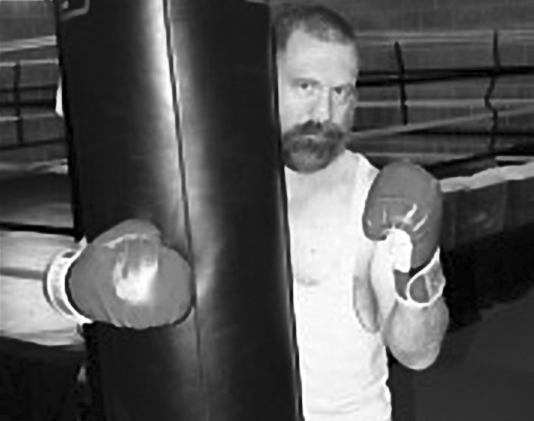 In 2005-2006-2007, I taught boxing part-time out of the garage at my home. It seems that there are many men and women who are curious to try boxing but have been unable to find a safe, positive environment in which to learn. The number of boxing students grew to the point that, in 2008, Oak Lawn Boxing moved to a much larger commercial gym facility, and I began teaching full-time. Over the years, we have taught over 1100 men and women in the Dallas area how to box. I now have several staff trainers assisting me with teaching duties. Owning and running a boxing gym is certainly not how I thought I would be earning a living at age 60, but life often takes us on interesting journeys! Running a small business is always a challenge, because almost everything falls on the owner’s shoulders. Oak Lawn Boxing does not have a maintenance department or a cleaning crew. There are days when, in addition to being a Boxing Trainer, I seem to also have the second full-time job of Building Facilities Manager. I have also just turned age 60, and being a full-time Boxing Trainer is much more physically strenuous than having a desk job. As I have matured, I have had to get much smarter about such things as pacing and time management, so that I can physically get through my long teaching days. Sometimes I feel that I am learning just as much as my boxing students are! So, let’s switch gears a bit and go into the Oak Lawn Boxing story. Tell us more about the business. Oak Lawn Boxing teaches private one-one-one boxing lessons to adult students ages 18 and above. We focus on techniques rather than aggression. Other boxing gyms in the area might focus just on cardio, but everyone who wants to learn the mechanics of good boxing techniques always seems to end up at Oak Lawn Boxing. Because our teaching system is so structured and modular, we are able to adapt to a boxing student who has some type of physical challenge. Although the law does not permit us to make medical claims about the benefits of boxing, I can say that we have had boxing students with Parkinson’s, ADD, cancer, MS, dyslexia, and organ transplants. As long as the physician gives approval, we can work with almost any physical challenge to help improve the quality of a person’s life through boxing. I am very proud of our ability to help people lead healthier and more confident lives. I am not a big fan of the concept of luck. I believe that we create our own opportunities and paths, both good and bad. I teach boxing the way in which I would want to be taught myself. I treat my students the way in which I would want to be treated myself. Oak Lawn Boxing is very fortunate to have wonderful clients, but I do not attribute that to luck. We have great clients because we follow the Golden Rule to respect and honor all of our boxing students. Positive reinforcement is also very important. Anyone can point out problems, but it’s equally important to point out what is good and what is improving. I have been astonished over the years at how many of our boxing students have NEVER received a compliment about ANYTHING! Our teaching approach attempts to change that. Boxing lessons as a metaphor for life, as it were.